Robert Dawson is a master at capturing the spirit of the American West and its most iconic figure, the cowboy. 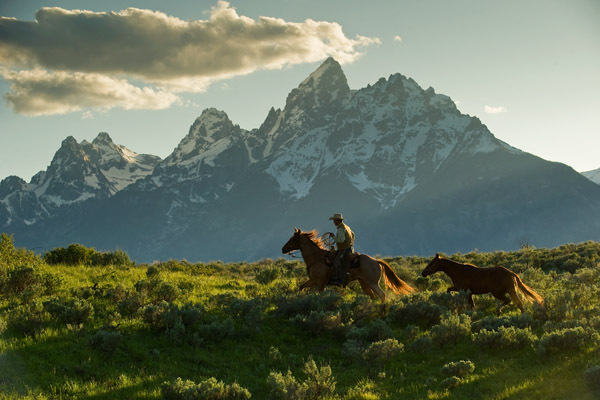 Few regions in the United States are more beautiful than the Tetons. It appears that a storm may be upon this cowhand and his horses. They may need to seek cover on the open plain.